Area: Maroussi, financial district - The Civitel Attik Rooms & Apartments is located in the centre of the new financial district of Athens. Its swimming pool & garden travel you to the countryside, while being only a few kilometres away from the city centre. 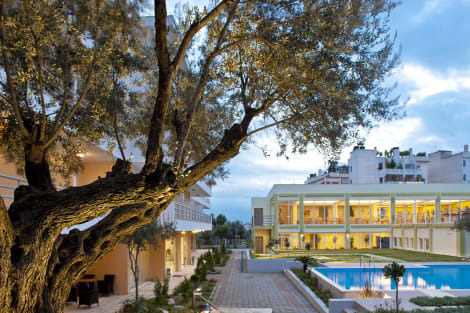 Civitel Attik is a privileged property in Maroussi area, which also manages to be one of the most famous modern, business & conference establishments that offer discreet luxury and superb location. lastminute.com has a fantastic range of hotels in Marousi, with everything from cheap hotels to luxurious five star accommodation available. We like to live up to our last minute name so remember you can book any one of our excellent Marousi hotels up until midnight and stay the same night.